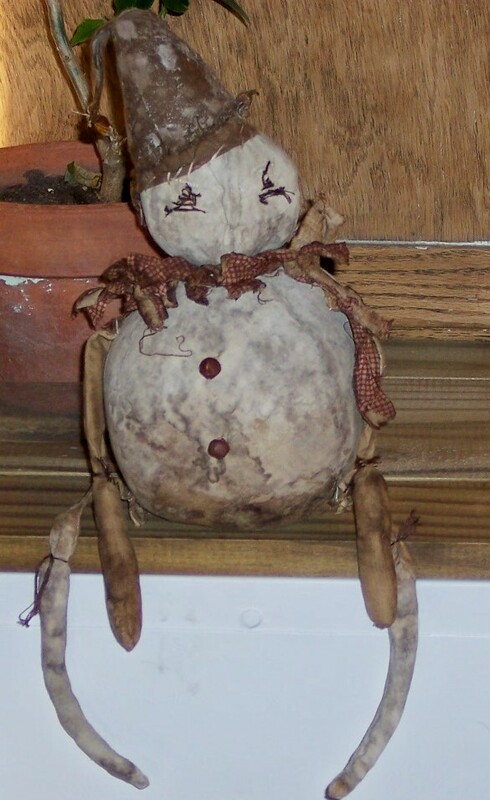 This is my new snowman, he is so extremely prim. He is listed on etsy. He is my favorite so far. Your dolls are absolutely fabulous. They leave me green with envy!! Would love to exchange links with you. Thanks to both of you. I will have patterns ready soon.